Why isn't anyone else finishing the script that's on my computer? Does the android go out again and battle another vampire - bot? Does she start out with a combat chassis? What amps us up into the second act? Wholphindvd. Yeah, I don't get it either. Is that a combination of "whale" and "dolphin"? And if so, why? They could have named it Whalligator or Dolphrhinoceros or something. In any case: magazine, movies, something, San Francisco. It all adds up. 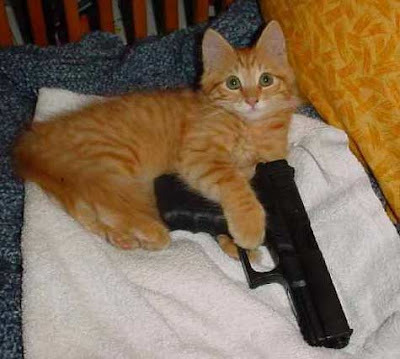 Kittens with Glocks are better than squirrels with coffee. Trust me on that one.